Whether it is a large scale wedding or a personal party, we have the perfect place for you. 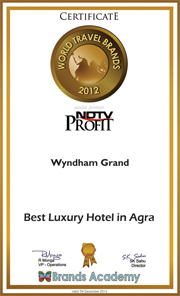 With a variety of options to choose from Wyndham Grand Agra ensures nothing less than perfection I making your event special. Our spectacular lawn is the idle place for your social function and it can accommodate up to 5000 guests. So make your wedding a princely affair with our grand banquets..